Recent Arrival! **4x4**, **Heated Leather Seats**, 4WD, 17" x 8.0" Aluminum Wheels, 4-Wheel Disc Brakes, 6 Speakers, ABS brakes, Air Conditioning, Cloth Low-Back Bucket Seats, Front Bucket Seats, Front Center Armrest w/Storage, Front dual zone A/C, Power driver seat, Power steering, Power windows, Quick Order Package 26E, Rear window defroster, Rear window wiper, Remote keyless entry, Speed-Sensitive Wipers, Steering wheel mounted audio controls, Variably intermittent wipers. Clean CARFAX. Priced below KBB Fair Purchase Price! 2011 Brilliant Black Crystal Pearlcoat Jeep Grand Cherokee Laredo 4D Sport Utility 4WD 3.6L V6 Flex Fuel 24V VVT 5-Speed Automatic Odometer is 6944 miles below market average! NOT ALL VEHICLES SHOWN ARE LOCATED AT DIEHL OF GROVE CITY. 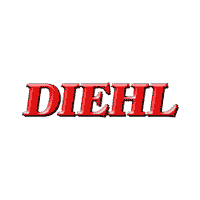 IT WOULD BE OUR PLEASURE TO BRING ANY VEHICLE TO ANY DIEHL LOCATION FOR YOUR CONVENIENCE. PLEASE CONTACT SALES TO VERIFY VEHICLE LOCATION.